Is my move subject to the regulation of the LPSC? Does the LPSC recommend specific household goods movers? What if a Household Goods Mover refuses to deliver or holds my possession hostage for additional payment? How do I file a complaint if I moved to or from another state? Q: Is my move subject to the regulation of the LPSC? 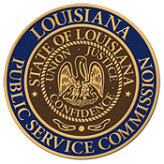 A: Pursuant to the LPSC's jurisdiction, all household goods moves from one point in Louisiana to another point within Louisiana that exceed $250.00 are subject to the regulation of the Commission. Q: Does the LPSC recommend specific household goods movers? A: No. The LPSC does not make recommendations regarding household goods movers. However, to ensure you are engaging the services of a mover registered with the LPSC, please follow the directions in the following link to view currently registered companies. LPSC Staff can confirm whether there are outstanding fines or citations against a mover should you request that information. Q: Are the rates of household goods movers publically available? A: Yes. The LPSC maintains the tariffs for all registered household goods movers. The tariffs are available online and may be searched as detailed in the following link. Q: Am I entitled to a written estimate? A: Yes. Pursuant to General Order dated July 12, 2013, the household goods mover is required to provide you a written estimate of all the expected charges for your household goods move. You may elect to waive your right to a written estimate, but only by signing a waiver that clearly informs you of your rights as a consumer. The household goods mover is limited in the amount that they can exceed the written estimate, which provides important protections to the consumer. The LPSC has the authority to pursue fines for any household goods mover that violate the rules and regulations of the LPSC (Details are provided in General Order dated July 12, 2013). Q: What if a household goods mover requires me to sign a waiver? A: A household goods mover is allowed to provide a customer the opportunity to waive the right to a written estimate. In order to ensure the full protection of the LPSC’s rules and regulations, you may want to consider another mover who does not require a signed waiver. Q: What if a Household Goods Mover refuses to deliver or holds my possession hostage for additional payment? A: Pursuant to General Order dated July 12, 2013, a household goods mover must release possession of the customer’s goods upon payment of the original estimate plus 10%. The 10% amount is provided to allow for some flexibility given the nature of the household goods moving industry. This consumer protection is another reason to seek out a household goods mover who does not require the signing of a waiver in order to complete moving services. If the household goods mover refuses to comply with this requirement, contact the LPSC Transportation Division and your local police department. The LPSC has worked in conjunction with local police departments and the household goods mover may face criminal and regulatory proceedings. Q: How do I file a complaint if I moved to or from another state? A: A move of this nature would be considered an interstate move and subject to the jurisdiction of the Federal Motor Carrier Safety Administration (“FMCSA”). Please refer to www.protectyourmove.gov for information on how to file a complaint. You may also contact the FMCSA at 1-888-DOT-SAFT (1-888-368-7238).